 The Fertility Institute of NJ & NY (FINJNY) is directed by 2 highly educated, experienced and personable physicians, and under their guidance FINJNY offers the best treatment options for fertility issues. In addition to this, the Fertility Institute of NJ & NY stands out because of the personalized and compassionate way we treat our patients. Each of our patients is an individual, each journey unique, and every treatment plan is tailored to the medical requirements, needs and dreams of our patients. Whereas some facilities treat patients like numbers, at the Fertility Institute you are a member of the family. Your successes are our greatest joy; your disappointments are our disappointments. We are innovators, researchers, and experts on the cutting-edge of our field, but that dedication to the advancement of infertility treatment never comes at the expense of being accessible to our patients. Our staff takes a personal interest in the future of the families they are creating. Every resource and skill we have is at your disposal as we work together to foster hope and create new life. Autoimmune disorders such as diabetes, rheumatoid arthritis, thyroid disease, or lupus. In some cases, the cause of infertility is unknown or unexplained. Every month your body builds up your uterine lining in anticipation of pregnancy. When an egg fails to fertilize and implant, the levels of the hormones progesterone and estrogen drop and the uterine lining sheds. This is your period. On average, bleeding lasts around 5 days. For the purposes of tracking ovulation, the first day of your menstrual flow is actually considered the first day of your next menstrual cycle. It's also the start of the follicular phase, during which your pituitary gland produces follicle-stimulating hormone (FSH), the hormone responsible for activating follicle development. Those follicles, which are contained in the ovaries, are filled with fluid and a maturing egg, and they also secrete the estrogen that prepares cervical mucus to best receive and nourish incoming sperm. The exact dates of your ovulatory phase depend on the length of your cycle but, generally speaking, it starts around 14 days before your next cycle (signaled by menstruation) begins – not, as many people believe, 14 days after the start of menstruation. During the ovulatory phase, a surge in your level of luteinizing hormone (LH) causes the now mature follicle to burst, releasing its egg into your fallopian tube. Most women of childbearing age release a single mature egg per month; if multiple eggs are released during ovulation and fertilized, the resulting embryos would be fraternal twins. The ovulatory phase offers the best chances for successful conception. There is an approximately 24-hour window during which sperm has the opportunity to swim to meet and fertilize the awaiting egg. This phase begins when ovulation is complete and it ends when your next period (aka menstruation) starts. After the follicle has matured and released its egg, it turns into the corpus luteum. The corpus luteum is responsible for the production of the progesterone that thickens the endometrium, the mucous membrane that lines the uterus, and makes it the ideal place for a fertilized egg to implant. If a fertilized egg successfully implants, the corpus luteum will continue to function and produce progesterone for the endometrium for the first trimester of the pregnancy; if there is no fertilization and/or implantation, the corpus luteum ceases to function, the uterine lining breaks down, and the cycle begins anew. During your first visit to the Fertility Institute of NJ & NY, you will meet with one of our Harvard-trained fertility specialists: Dr. Zalman Levine or Dr. Inna Berin, or our board-certified Physician Assistant, Alyson Butler. Your medical records will be reviewed, the results of any preliminary testing will be taken into account, and all previous treatments discussed, until your specialist has a comprehensive picture of your general medical and fertility history. If you have never had a complete infertility workup, one will be ordered so that we have all the information necessary to accurately assess your fertility potential. Together, you and your doctor or physician assistant will discuss possible treatment options and decide on a plan of care. Do I ovulate and have enough eggs? Is my partner's sperm count high enough, and is his sperm motility and sperm morphology adequate? Are my fallopian tubes open for sperm and egg to meet? Is my uterus healthy and able to carry a pregnancy? Once we know the answers to these four questions, we can tailor your fertility treatment to address any areas which may be negatively affecting your fertility. During ovulation induction we use oral, or sometimes injectable, medications to help overcome ovulation issues. We monitor your cycle via blood tests to measure hormone levels and via pelvic ultrasound to scan the ovaries to measure follicle growth and egg maturation. IUI, commonly known as Artificial Insemination, can help patients overcome moderately low sperm count or motility, or infertility due to cervical issues, by putting sperm into the uterus at the appropriate time in the woman's cycle. It is also possible to perform IUI in combination with oral or injectable fertility medications. IVF can overcome infertility by combining the egg and sperm outside the body and then transferring the resulting fertilized egg, or embryo, into the uterus. The procedure is used in cases where: the sperm count is very low, there is damage to the fallopian tubes, presence of Polycystic Ovarian Syndrome (PCOS), endometriosis, or certain unexplained fertility issues. ICSI is a process in which one single sperm is selected and injected into a single egg. This can be especially useful in situations where sperm quantity or motility is very low. PGD/PGS are elective procedures that can be added to an IVF cycle. They screen for a number of genetic abnormalities prior to embryo transfer and subsequent implantation. PGD is most commonly used when a couple is seeking to diagnose or screen for a specific genetic disease, such as Tay-Sachs disease, cystic fibrosis, or other single-gene mutation. PGS, on the other hand, is a more generalized test in which the embryo is screened for the number of chromosomes. Abnormalities in the number of chromosomes (aneuploidy) can lead to failed IVF cycles, miscarriages, and/or birth defects. Since gender is also identified during procedures, results can be used to assist with family balancing.